To fully protect a building the roof must overhang the edges of the walls, resulting in a roughly triangular gap between the roof and the wall. This section of the roof is called the eaves. 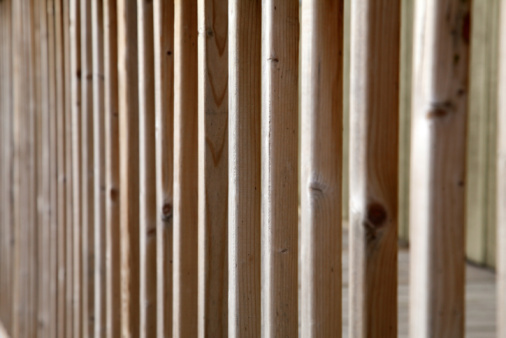 To prevent excessive air flow through the gap, builders fit horizontal boards, called soffit boards, to seal the gap and prevent the weather, or animals from entering the roof space. Soffits usually run all the way around the building. Soffits help to seal your house against the elements. Stand at one corner of the building, under a section of roof that has, or needs, soffit boards. There is no particular "best" place to start, so choose a convenient point. Attach one end of the tape measure to the ground, using a tent pin. Ensure that the tape aligns with the end of the wall. Walk to the opposite end of the wall, feeding out the tape measure as you go. Record the length of the wall. Write down the length; don't try to remember it. Repeat steps 2 and 3 for each wall that requires soffit boards. Combine the lengths of all the walls to obtain the total eaves length. For example, if the wall measurements are 25 feet, 30 feet, 25 feet and 30 feet, the total length is 110 feet. Measure the width of the eaves gap if it isn't possible to fill it with a standard width board attached parallel to the wall. Multiply the total length by the width to obtain the area of soffit needed to fill the gap. 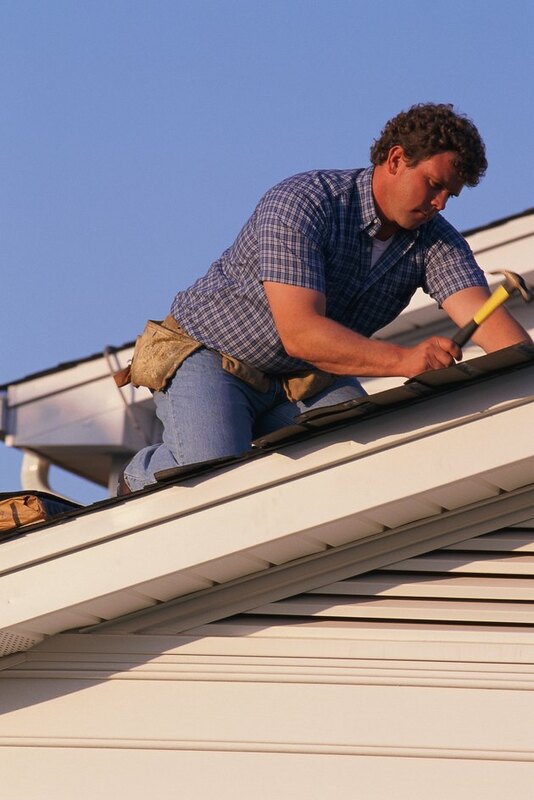 For example, if the total eaves length is 110 feet, and the width is 2 feet, multiply 110 by 2. The result, 220 in this example, is the number of square feet of soffit required. Add 10 percent extra to the calculated length to allow for mistakes, cutting errors and damage caused during installation. For example, if the total is 110 feet, add an additional 11 feet to the total to obtain the length of soffit to purchase. In this example the total length becomes 121 feet (110 + 11 = 121). If you're working by area, the total becomes 242 square feet (220 + 22 = 242). Divide the total length of the eaves, including the 10 percent extra, by the length of the soffit strips you intend to use, if you're using a single strip all around the building. Round the answer up to the next whole number -- you can't buy just part of a strip -- to establish the number of soffit strips required. For example, if the soffit comes in the common 12-foot strips, divide the total length by 12, and then round up to the next full strip. To conclude the example, 121 feet divided by 12 equals 10.08. Ten strips would be slightly too short, so round it up to 11 strips.